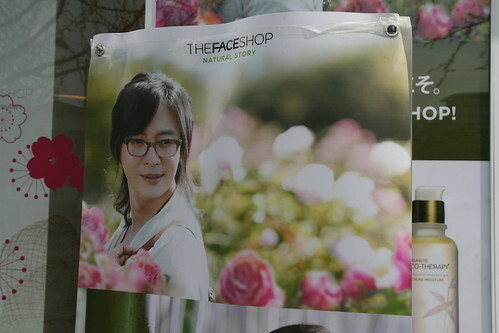 There's a new Face Shop in Itaewon and they've got some wonderful promotional banners out at the moment. 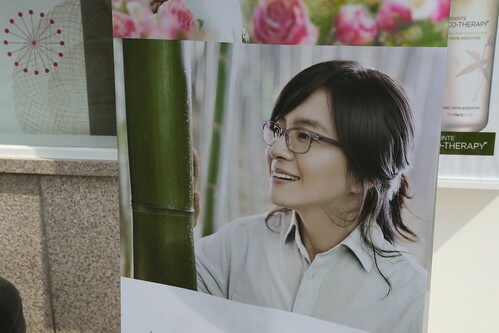 I've not seen these new shots of 배용준 (Bae Yong-joon) before and they trump the previous womanly man photos that have graced Face Shops in the past. I worry for his health and sanity. Remember when he looked like this? If you have a spare ten minutes, Gord Sellar wrote an interesting article last year that touches on Bae Yong-joon and his feminization. Worth a read. One of the other big-box cosmetics shops is using Ikko, a Japanese transgender make-up artist. No coincidence, I guess, considering the huge number of Japanese tourists coming here to shop.